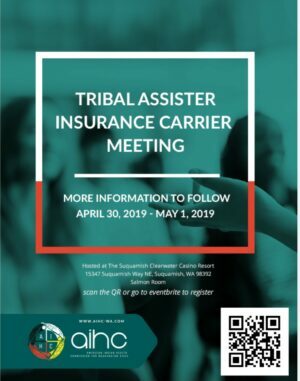 April 30th, 2019- The American Indian Health Commission for Washington State will be hosting our annual Insurance Carriers Fair. Please register in advance to attend or as an insurance provider. 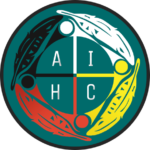 May 1st, 2019- The AIHC will be hosting another Tribal Assister In-Person Training! Please register by April 20th. Breakfast and lunch will be provided. Need a sleeping room? The Suquamish Resort is generously offering discounted rooms (per diem), you must reserve by April 12th to guarantee this rate. You may call and reference group ID 16260 or book online. If you have any special dietary needs, please indicate upon registration. Any questions, comments or suggestions, please contact Terra Horton at terra.horton.aihc@outlook.com. We will be providing more information soon!